To both the state of the economy and the increased interest in eating better and becoming healthier, organic gardening is becoming more and more popular. Not only will organic gardening allow you to eat healthier, it will also save you money at the grocery store. If your house is anything like mine, you don't have anywhere to plant an organic garden. Don't let that discourage you! 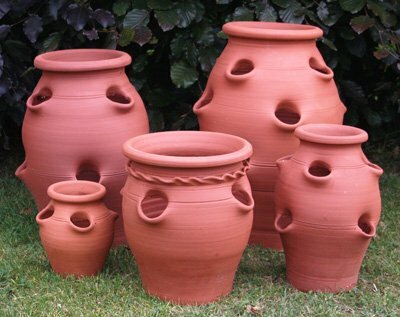 It is very easy to container garden, using very effective, extremely attractive pots! This pot stands at 47cm wide and 50cm high and contains side openings to support the growth of strawberries, herbs, and other small fruits. 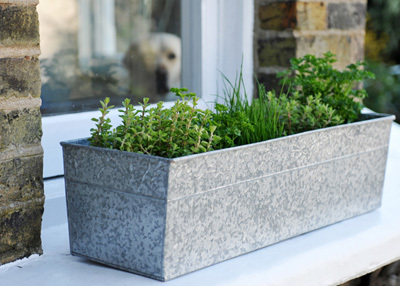 this pot is affordable, practical and functional, making it number one on my list. This pot stands at 51cm wide and 43cm tall, weighs only 2.1 kg and is shock proof and weather resistant! This pot is perfect for planting organic patio tomatoes or any variety of peppers, just to name a few favorites. this pot could easily pay for itself with just one harvest! This impressive raised trough bed stands at 100cm wide by 50cm deep by 40cm high, with a planting depth of 37cm! this pot allows you to add root vegetables, such as carrots, parsnips and potatoes to your organic container garden! The posts that are shared here on the page are really interesting. I am interested in gardening and this site has helped me a lot by sharing posts on organic farming. Keep on sharing interesting and awesome posts like this. I am very happy to find this site. This site is really valuable and informative for me and everyone. I want to say that please some more good information. Wow! This pots looks so cool! Where i can buy them? Join in and write your own page! It's easy to do. How? Simply click here to return to Share Your Organic Gardening Story.